I tried redscaling film. Have you heard of this technique? I hadn't until about a year ago. It is when you expose the film on the wrong side. The red sensitive layer of film is exposed first, which dominates and produces the ultra red cast. This process requires you to wind your film upside down in a film canister. You can buy film that has been redscaled or you can easily do it yourself (which is what I did). 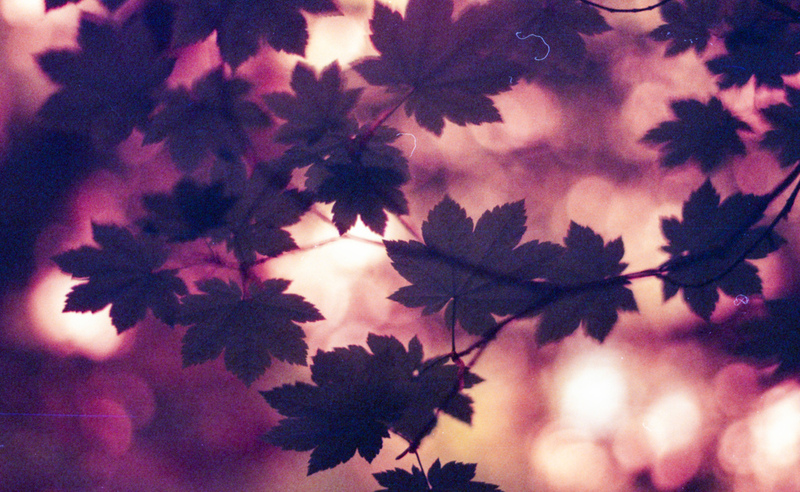 Some of the film swap photos were redscaled, which produced some really cool effects since both sides of the film were exposed. I really like the surreal effect it has on the forest. It is most definitely fun, though. I will be playing with this technique more!